Adding value to your franchise -- that's the "why" of most franchisor strategies. If you're a franchise corporate officer or CEO, this is probably one of your fundamental values, and likely a focus or top goal for the upcoming year. It's what we all want: to grow thriving, successful franchise brands and businesses that provide good opportunities for our franchisees, our team, and ourselves. A board of advisors can help you do this unlike anything else. A big reason is that it can inspire a higher level of performance from the entire corporate team because there is now a new level and type of accountability present. And this time it's not coming from the founder or franchisees, but from a third-party group of professionals tasked with helping the organization grow. Unlike a board of directors, which has a formal structure (as well as fiduciary responsibility), a board of advisors is a group of like-minded professionals who meet regularly to provide an outside perspective and help you achieve your business goals. They do not vote or approve, but they do ask questions and offer ideas and experience. The individuals you invite onto your advisory board are likely your current lawyers and accountants (if they're good), as well as trusted, carefully invited outsiders such as friendly retired industry executives or past vendors who have relevant experience you can learn from. It's also helpful if they have a broad and deep personal network you can draw from when the need arises to expand your current network. When establishing your new board, the key is to choose members you trust, people who will care enough about you and your business to be honest, take it seriously, and help hold you accountable for achieving your goals. While you are busy and focused working day to day on behalf of your franchisees, the board of advisors works directly for you -- to help you achieve your primary higher-level goals and objectives for the business. Often these areas of focus are more strategic, have a long-term impact, and lead to results that build equity and enterprise value. Board meetings are typically held on a quarterly basis, with members either getting together in a room for a half-day session or spending a few productive hours on the phone. The format may change from meeting to meeting, but one thing should stay the same: you should be providing an advance agenda of discussion items, as well as an update report on the performance of your business. This ensures that your board can prepare accordingly -- and that you'll get the greatest value from the live time when you're connected. Although I don't recommend going public and announcing your new board right away, start talking about it quietly after you've met a handful of times and feel like you have some momentum building so you can start publicizing it internally to your team and franchisees. Something I've seen recently is business owners inviting their board of advisors to attend their annual franchise brand conferences. This is a big opportunity all around. First, it gives your team and franchisees the opportunity to meet your board (and prove to them all that it really does exist!). No longer is it a mystical gathering they only heard about second- or third-hand, but a real group of people who are now personally known in the organization. For your board of advisors, the invitation to attend your internal conferences means that the corporate team has enough confidence and trust in them and their decision-making skills to welcome them into the franchisee community. It also provides an important level of transparency for the board, who will get a more authentic view of the organization by connecting and listening in on the conference sessions and mingling directly with franchisees and others. If you choose to keep your board a "secret," you lose out on this extended value, as well as the added credibility that comes from having a well-organized and trusted board of advisors. Giving them engagement, visibility, and the opportunity to connect personally with your corporate team, franchisees, and vendors can open up an important leverage point of confidence-building and more added value. The board's value internally can have an extended impact on raising the bar for your team and franchisees, as well. Improved confidence and raised expectations of accountability typically produce higher performance and builds equity for the brand and enterprise value at many levels. With the right help, setting up a new advisory board doesn't have to be a difficult or complicated task. In fact, all you really need is 90 days to plan, prepare, and get rolling. 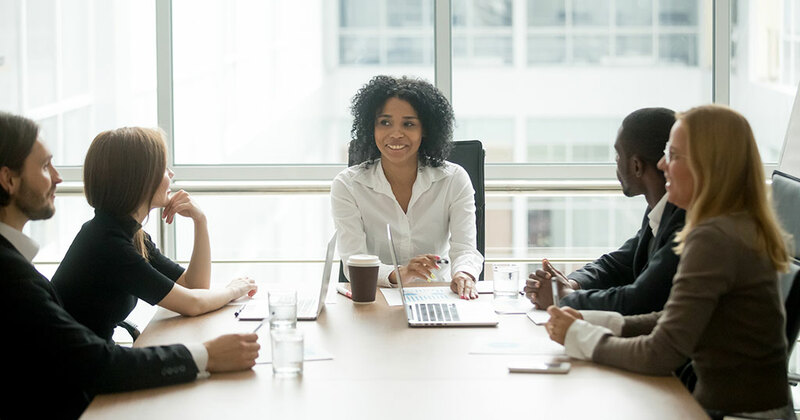 A consultant who has experience building and serving on advisory boards can be invaluable here, as they'll provide experience, materials, and resources; as well as guide and hold you accountable throughout the process to get you started on the right path. With the hard work of putting a new advisory board in place completed, you'll be well positioned to keep the momentum moving... and raise the bar and add value for your entire organization and brand. Adding an advisory board can be a long-term structural improvement to your business and brand for many years to follow. John Francis (aka Johnny Franchise) is a franchise consultant, strategic advisor, board member, and speaker. As the son of Joe and Flo Francis, who created The Barbers and Cost Cutters, he grew up in the franchise business. Later, as a multi-unit franchisee, he was named Franchisee of the Year by the IFA and PostNet in 2008. Contact him at John@JohnnyFranchise.com or visit johnwfrancis.com.